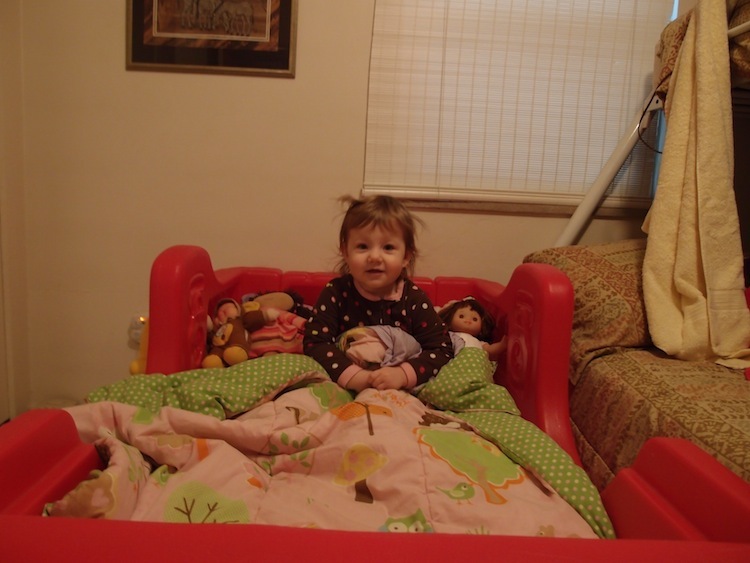 I thought it only fitting that we post a picture of Sophia in her big girl bed! Thank you to Ryan & Rachel for the loan of the bed, Grandma & Grandpa for purple “girly” sheets, and cousin Rilyn for the comforter! 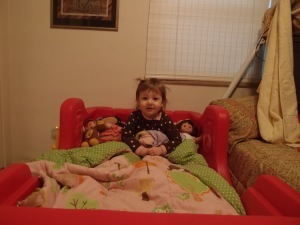 The amazing thing to me is that with the freedom of a big girl bed comes the benefit of bed head!